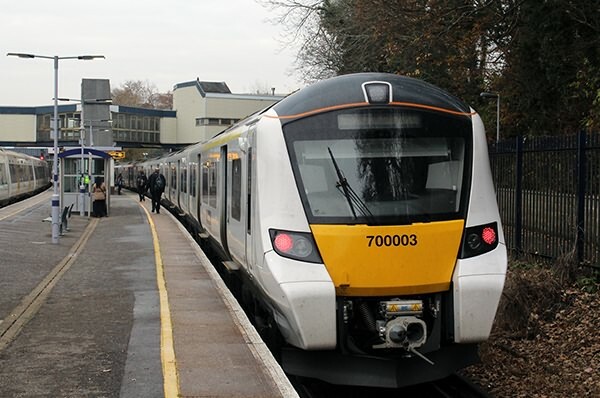 Class 700s started in passenger service to Sevenoaks on Monday 28th November 2016, with one diagram getting down four times per day, although one of the evening peak workings did not get past Nunhead on the following Tuesday or Wednesday due to failing with door problems. The above photograph shows 700003 at Sevenoaks waiting to work the 13:30 Sevenoaks to West Hampstead on 2nd December. Please also see Thameslink to Sevenoaks.